L'Oreal Paris Studio Secrets Professional Primer & L'Oreal Paris Super Liner Black Lacquer Review: Best drugstore products ever?! So a few days ago I posted that I was trying to find an eyeliner and primer to copy my Lancome ones. I found them! This eyeliner retails at £6.29, but often in drugstores do deals on these brands so it can often work at cheaper. The liquid is a deep black lacquer- giving a look that the eye liner is permanently wet. The nib of the pen is slightly harder to use than the lancome- it its slightly thicker at the top so requires a longer time to apply... but for nearly £15 different who cares! Despite this the eyeliner is still easy to apply, I managed my first cat eye the other day using it! I love how black this is and the colour doesn't fade or smudge throughout the day. Very long lasting. It's also very, very easy to remove. Making the bed time routine a little less hassle! I was thoroughly impressed and for now will be switching from my premium product to this drugstore one. I went for this as its a mouse style primer. My skin type doesn't take too kindly to silicon based ones, even though everyone raves about them- I just find them very greasy. I prefer the thicker texture of mousse primer and instead of creating what feels like another layer of skin, like silicon ones do, fills in the pores and dents of your own skin and level it. This amazing product is very true to its name. It acts like something they would use in in a studio, feels very professional and does what it says on the packet, smooths and resurfaces. Before applying my foundation I can see what a difference it makes on my skin, the skin tone becomes more even and blemishes appear reduced. It also adds an element of softness to the skin. After applying my foundation I really can notice a difference. It gives an airbrush effect. The longevity of my make up also increases by a good few hours. Again. I have switched from my Lancome products to these ones. 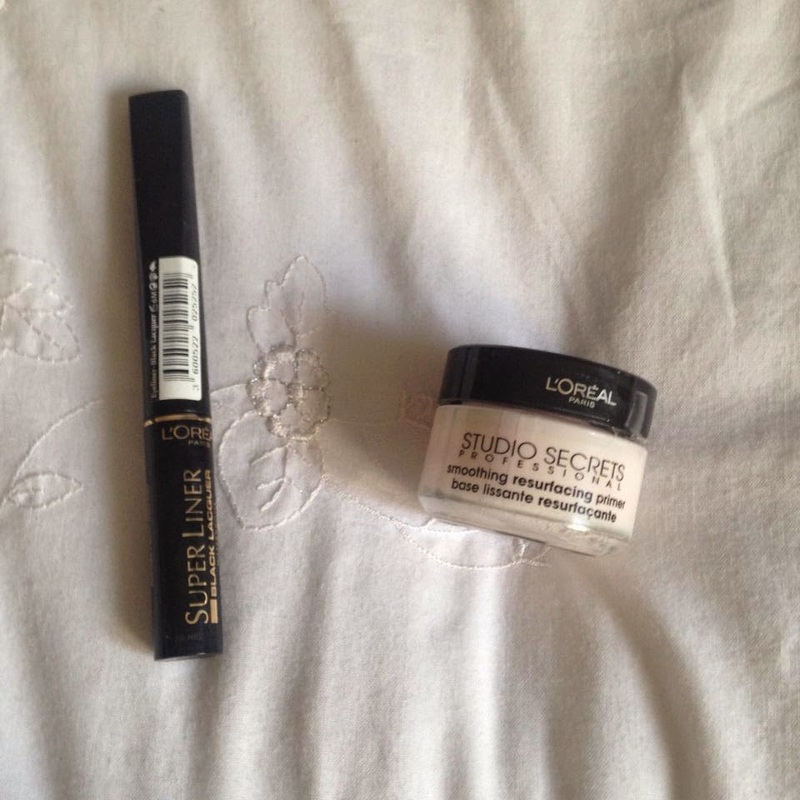 So overall, I was a VERY happy customer, these two products will be saving me nearly £30 each time. If there are any drug store products you want reviews on, let me know! Wow thanks for the review! I'm considering buying the eyeliner! !